** RE-JIGGED! : A Celebration of New Celtic Music & Dance - Friday October 21, & Saturday Oct 22, 2011; at The Christ Church Hall- Corner of Wentworth and Ochterloney Streets in downtown Dartmouth. *Workshops: During the day, learn or improve your skills with some of North America's leading performers and instructors. *Gala Concert: an exciting evening concert with leading innovators in Celtic music and dance from across the region and beyond. *Late-Night Ceilidh: After the concert, callers from both the Cape Breton and Irish traditions will have you up on the floor and dancing square sets in no time. Featuring live music by festival performers. ** The first CROSSROADS CEILI was a huge success! Held on Saturday March 5th, 2011, it featured an evening of great music, easy dances with instruction, and performances. Music by Glenn Coolen (uilleann pipes), Tristan Legg (guitar), Anthony Rissesco (fiddle) and Mark Currie (bodhran). Called dances with Elizabeth MacDonald (Irish), Zeph Caissie (Irish) and Colleen Putt (Cape Breton). The Crossroads Ceili is an all-ages dance event. Its organizers are planning a second CROSSROADS CEILI in the Fall of 2011. We will keep you posted!!!! ** The 14th Annual Halifax Easter Irish Set Dance Weekend will take place April 22-25, 2010 at the Titanic House, 989 Young Avenue, Halifax, with dance master and highly-respected accordion player Pat Murphy from Ireland. Players are welcome to join in for a traditional music session during Saturday lunch, noon-2 pm. Admission is $6 if you eat, free if you don't! Weekend Package: $55 includes lunch, plus six events: Friday and Saturday evening ceilis (7-11pm), Saturday morning (9:30am-noon) and afternoon (2-4pm) workshops, Sunday afternoon ceili (2-5pm) and Monday evening class (7-9 pm). Individual dance events cost $10. Beginner dancers are welcome. ** GUITARS GALORE: Scott Macmillan & Brian Doyle, with Doug Reach and Jeff Torbert and the Dalhousie Student Guitar Ensemble 'The GuitOrchestra'; March 4, 2011 St. Patrick's Church, 2267 Brunswick St. in Halifax. Admission is $20/$15 seniors/students and available at the door at 7:30pm. 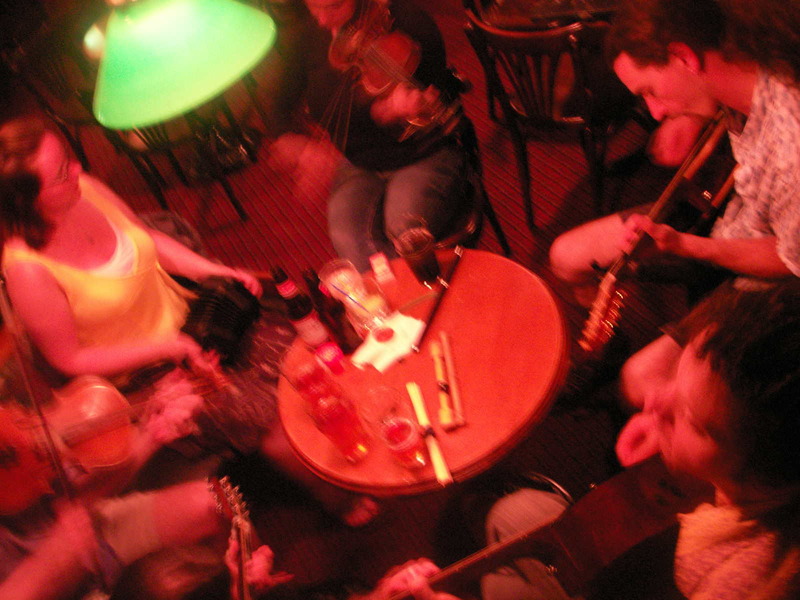 ** CELTIC SONG CIRCLE, HALIFAX ...... 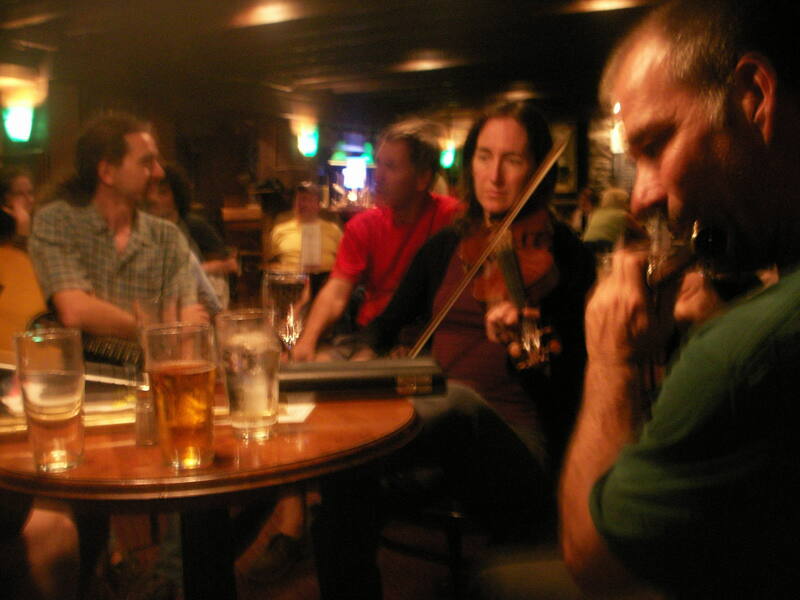 The Celtic Song Circle meets on a single Thursday night each month. Great for traditional singers and listeners. The previous Celtic Song Circles have been held 7-10pm, at a private residence in Clayton Park. Host: Adele Megann. Email for directions: mamegann@gmail.com. ** THE NEW TUNE SOCIETY, DARTMOUTH ...... The first meeting of THE NEW TUNE SOCIETY was held on Monday January 26th. The second one will be held in The Winter of 2009. For details about the organization, and its next meeting, click the link on the left. ** Check out CKDU on the radio at 88.1 FM, or on the internet at www.ckdu.ca Thursday evenings at 6:00PM AST for a show hosted by Glenn Coolen. "Irish Eddie & The Highland GAC" features Celtic & World music. Soon to become a podcast on celticmusicclips.com !! !